The Company has a long tradition of supporting horticultural and garden design students at Capel Manor College, Royal Botanic Gardens Kew, RHS Wisley, Writtle University College, the Royal Parks and City and Guilds. Prizes are awarded annually at the Autumn Court Dinner in November. Prize winners are invited to join the Company's exclusive Alumni Group where they benefit from a support and information network with occasional visits to places of horticultural interest and opportunities for continuing professional development. 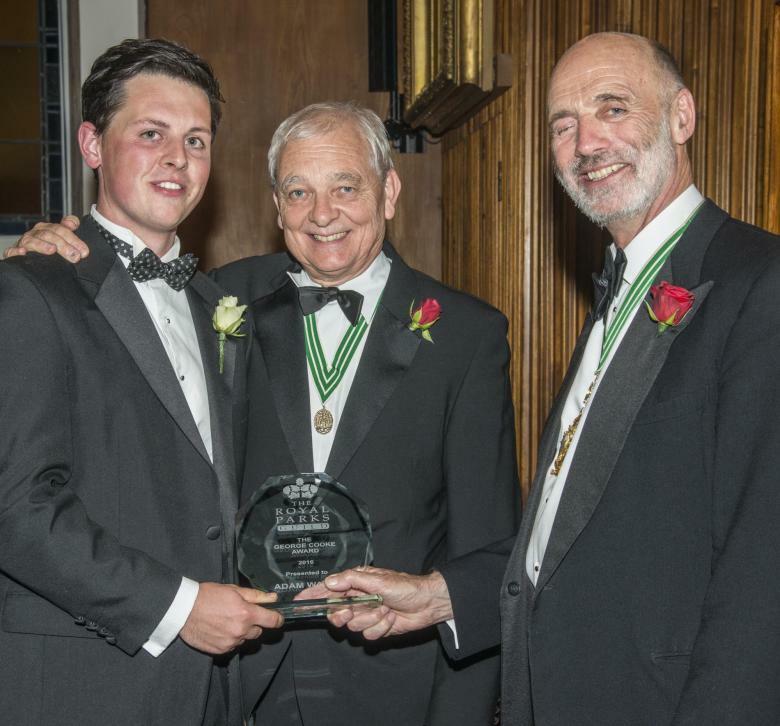 Adam Watts is presented with the Royal Parks Guild George Cooke Award by Assistant Mike Fitt and Master Paul Rochford at the 2016 Autumn Court Dinner at Carpenters’ Hall.